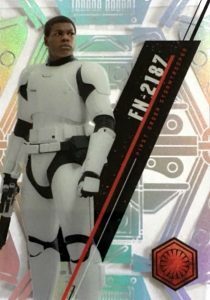 Continuing the popular line that was established last year, 2016 Topps Star Wars High Tek offers some tweaks but still keeps to the primary format. Collectors will likely be excited based on the updated box yield that now includes one autograph per box. Promising new patterns and short prints, the base set relies on an acetate stock, character image and intricate background design. Just like in 2015, collectors will have their hands full with multiple parallels, patterns and variations. Parallels include Blue Rainbow Foil (#/99), Gold Rainbow Foil (#/50), Orange Magma Diffractor (#/25), Green Cube Diffractor (#/10), Red Orbit Diffractor (#/5), Black Galactic Diffractor (1/1) and Printing Proofs (1/1). 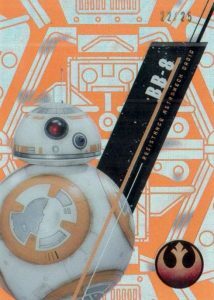 Although the mix of patterns will be evident in 2016 Topps Star Wars High Tek, the rarity will remain a secret that collectors must figure out. 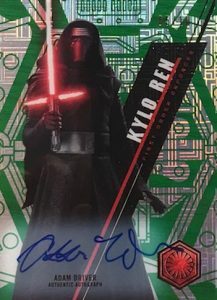 Now a guaranteed box hit, the on-card Autographs are the stars of the show in 2016 Topps Star Wars High Tek. Base versions are joined by Blue Rainbow (#/75), Gold Rainbow Foil (#/50), Orange Magma Diffractor (#/25), Green Cube Diffractor (#/10), Red Orbit Diffractor (#/5), Black Galactic Diffractor (1/1) and Printing Proofs (1/1) parallels. While the set covers the entire Star Wars franchise, The Force Awakens enjoys heavy coverage via the limited inserts. Living Tek (#/50) concentrates on subjects with tech-based enhancements and Armor Tek Die-Cuts (#/50) look to the essential outerwear. 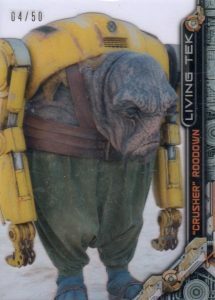 Lastly, Pilots and Vehicles (#/50) is just as it sounds with a focus on the various machines and their operators. 112 cards. Shop base cards on eBay. View a detailed guide and gallery for the base pattern designs. PARALLEL CARDS: Blue Rainbow Foil #/99, Gold Rainbow Foil #/50, Orange MAGMA Diffractor #/25, Green Cube Diffractor #/10, Red Orbit Diffractor #/5, Black Galactic Diffractor 1/1, Printing Proofs 1/1. 15 cards. Look for added letter to card number on back or front caption to easily distinguish from the base. 57 cards. *Sticker autograph; **First-time signer; ***First signing as a new character. PARALLEL CARDS: Blue Rainbow #/75, Gold Rainbow #/50, Orange MAGMA Diffractor #/25, Green Cube Diffractor #/10, Red Orbit Diffractor #/5, Black Galactic Diffractor 1/1, Printing Proofs 1/1. 11 cards. Serial Numbered #/50. 17 cards. Serial Numbered #/50. 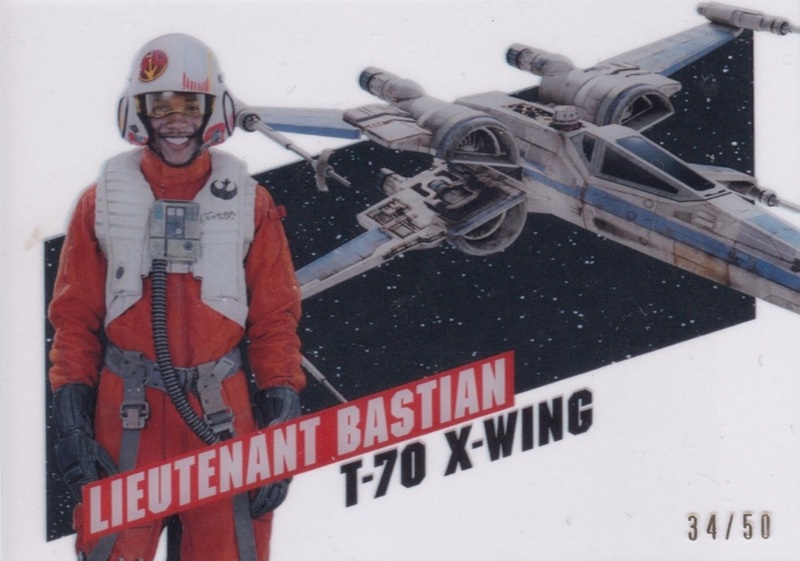 Shop for 2016 Topps Star Wars High Tek hobby boxes on eBay. great stuff !! 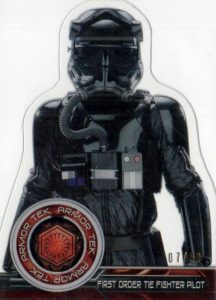 love this high tek star wars and soon it 2017 star wars high tel december 13 !